The skittish leopard managed to evade nearly 100 police and forest officials carrying tranquilliser guns inside the factory at Manesar. It took 30 hours to catch a leopard on the loose inside Maruti's factory at Manesar near Delhi. Late this afternoon, wildlife officials tranquilized the leopard and said it will later be released into the wild. 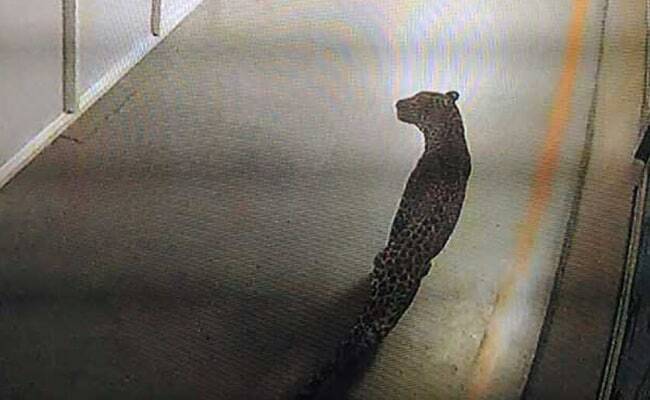 The skittish leopard managed to evade nearly 100 police and forest officials carrying tranquilliser guns inside the factory at Manesar, which went into lockdown after it was spotted lurking around by security guards early Thursday. "Many teams of police and forest guards are searching for the leopard. We have cordoned off the entire complex," said Ashok Bakshi, a deputy commissioner of police in Manesar, roughly 30 miles from the capital during the search yesterday. Workers were evacuated from the Maruti Suzuki plant which covers nearly 600 kms and is the largest in India churning out nearly a million vehicles a year. Cages with goats as baits were set up to lure the leopard; firecrackers were also lit to scare it into emerging from its hideout. "The leopard is hiding behind a machine which is used for assembling car engines. It is difficult to move the machine," Wild Life Conservator Vinod Kumar told the Press Trust of India during the mission. In January, a leopard was beaten to death by a mob outside Gurgaon near Delhi after it attacked and injured eight people. Last year, a leopard injured three children after wandering into a school in Bangalore.